C.J. 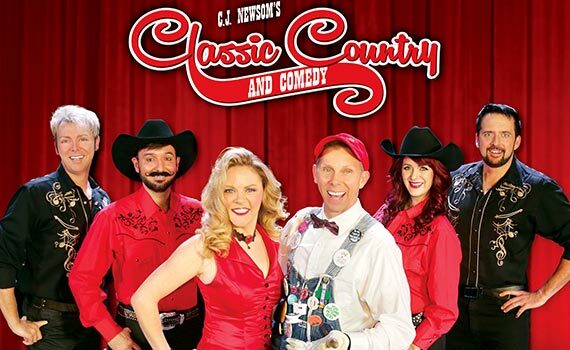 Newsom's Classic Country Classic & Comedy, formerly Patsy Cline & Friends, stars critically-acclaimed vocalist, C.J. 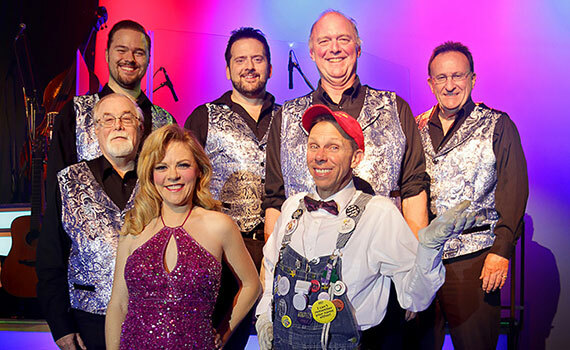 Newsom and the Re-Cliners Band with five-time comedian of the year, Terry Wayne Sanders. 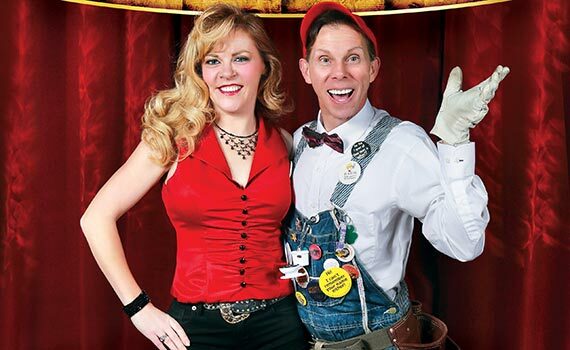 Joining the cast this year are singer and dancers Michael Frost and Kaylee Ruden adding to the talent that continues to WOW and delight Branson audiences for their 6th Straight Year! C.J. and her award-winning band proudly bring back the excitement and joy of when these popular songs were first introduced to the American public. 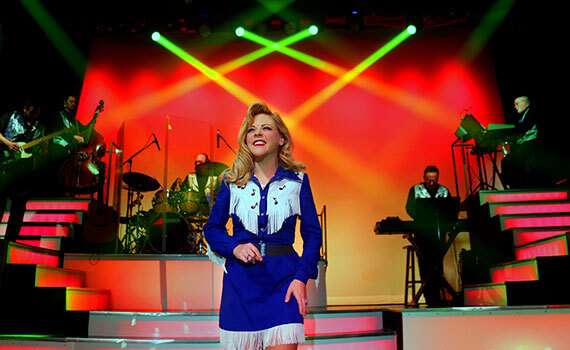 From the sultry vocals of classic Patsy Cline songs to the high energy, foot-stomping arrangements of Dolly Parton, Johnny Cash and Chuck Berry, every well known melody comes alive, thrilling audiences of all ages. 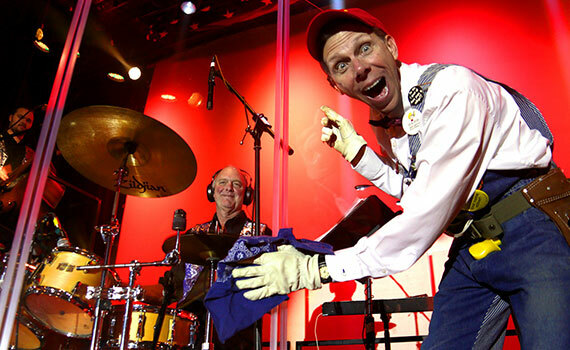 Television’s Hee Haw star, Terry Sanders will tickle your funny-bone with his family friendly, slap-stick comedy featuring Homer Lee, Joan Rivers, Gramma Beulah, and more. 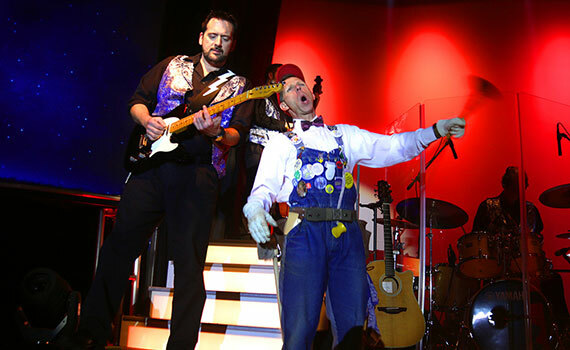 You’ll love this Branson show! Prices do not include tax. Teen is Ages 13-17. Child is Ages 0-12.